One of the rooms at Athelhampton including a Charles II japanned cabinet on stand exhibited in the 'Treasure Houses of Britain' exhibition at the National Gallery of Art, Washington DC, in 1984. The contents of the Athelhampton House in Dorset are scheduled to be sold in the autumn after the £7.5m property has been sold. The sale will be held on the premises with the 400-500 lots estimated to bring close to £2m. 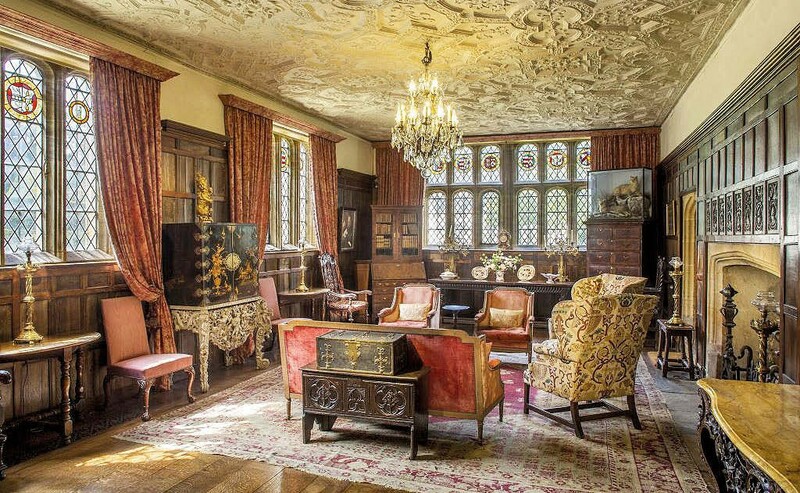 Athelhampton, a Tudor manor house on a 29-acre estate in Puddletown, was bought in 1957 by Robert Victor Cooke, an eminent Bristol surgeon, to accommodate his growing assemblage of 16th and 17th century paintings, furniture and works of art. It is being sold by his grandson Patrick Cooke. Much of the furniture was acquired in the 1930s-50s from leading dealers of the period. It includes a George III serpentine commode traditionally attributed to Thomas Chippendale, seating furniture in the manner of William Vile from Raynham Hall, Norfolk, and a Charles II japanned cabinet on silvered stand that was exhibited in the Treasure Houses of Britain exhibition at the National Gallery of Art, Washington DC, in 1984. From the Great Hall, ranked among the best examples of early Tudor domestic architecture, is a 16th century refectory table acquired through Duveen and once in the collection of press baron William Randolph Hearst. 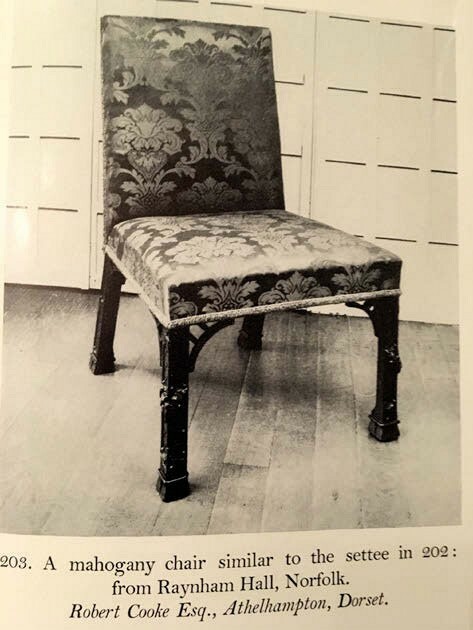 A side chair in the manner of William Vile, as pictured in 'The Works of Thomas Chippendale and his Contemporaries in the Rococo Style' by Anthony Coleridge (1968). The contents also include a group of works by the Russian-born Cubist painter Marevna Vorobieff (1892-1984) who lived with her daughter’s family at Athelhampton from 1949-57. “As things stand, all the works housed in a gallery in the west wing will be sold, including arguably her most important painting Homage to friends of Montparnasse,” said Schwinge. Duke’s has been involved with Athelhampton since the 1970s when the property was owned by Sir Robert Cooke. He was given the house as a wedding gift by his father in 1966. The auction house has sold items from the property over the years and provided professional advice following the death of Lady Cooke (then Lady du Cann after remarriage to Tory grandee Sir Edward du Cann) when the house and contents were inherited by Patrick, her son. Last September Duke’s sold items owned by Sir Edward, including a maquette of the Winston Churchill statue in Parliament Square. Holding the auction this year is dependent on the sale of the house, which is now on the market. “At present we are working on a sale this autumn, most probably in October,” said Schwinge.